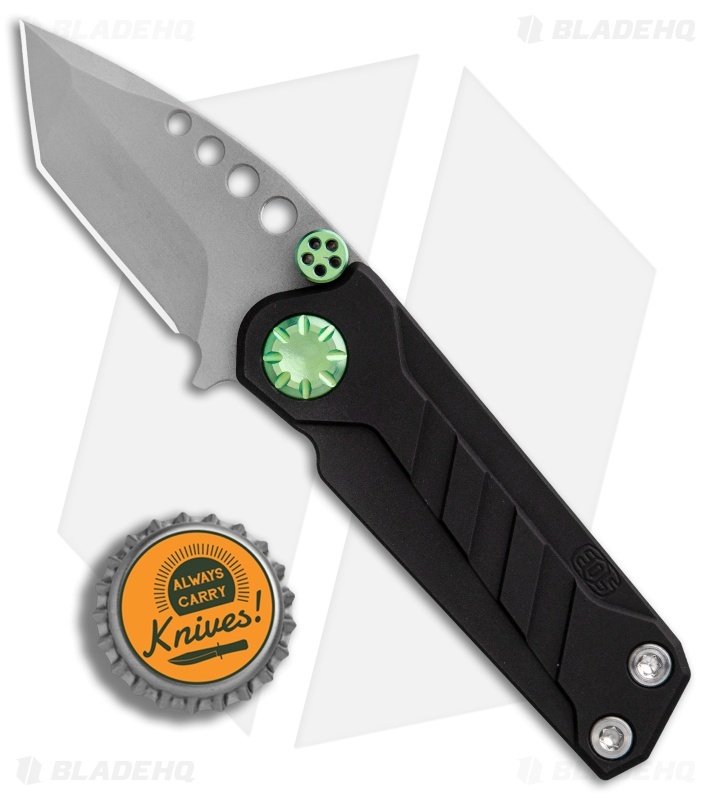 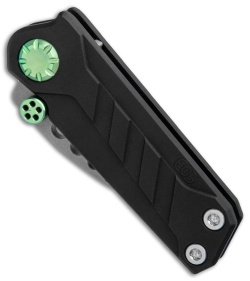 This EOS Prawn friction folder has a black aluminum handle with green anodized Ti hardware. 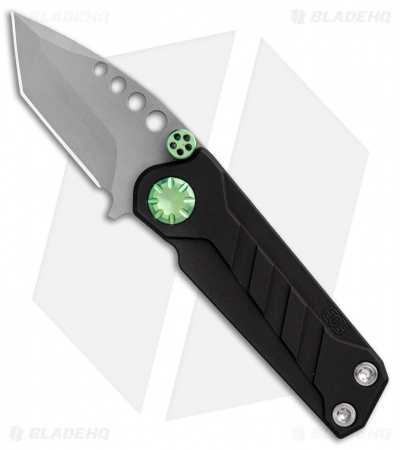 It sports a tanto blade made from durable D2 tool steel in a bead blasted finish. While the knife doesn't lock, the blade can be held open or closed by adjusting tension on the thrust washers. The Prawn's compact build allows easy carry in a backpack, gear bag, or pocket. 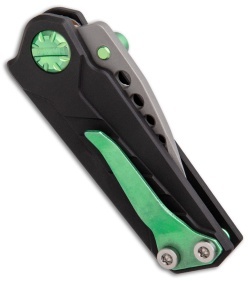 Aluminum handle construction offers a lightweight, durable frame.